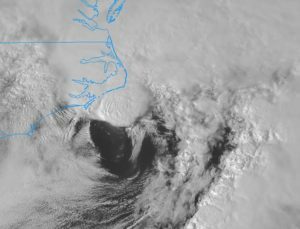 Satellite image of Tuesday’s coastal storm at approximately 5 p.m. 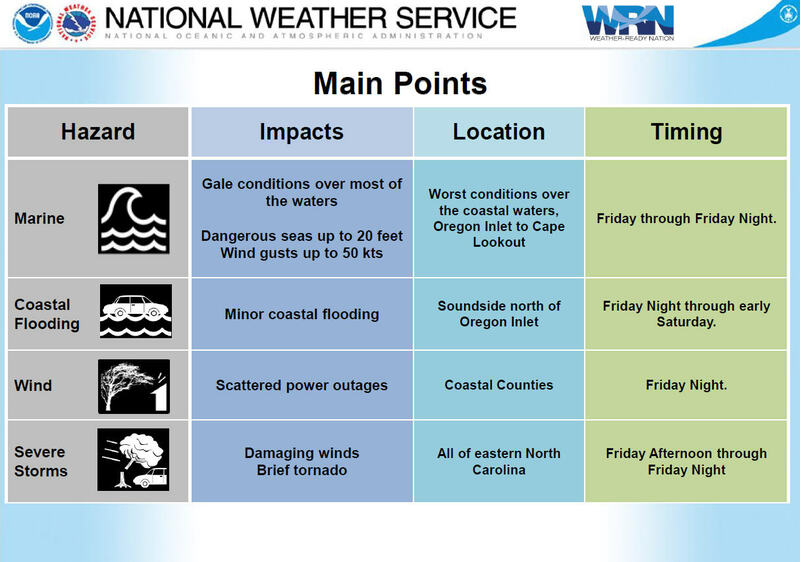 Image from NWS. 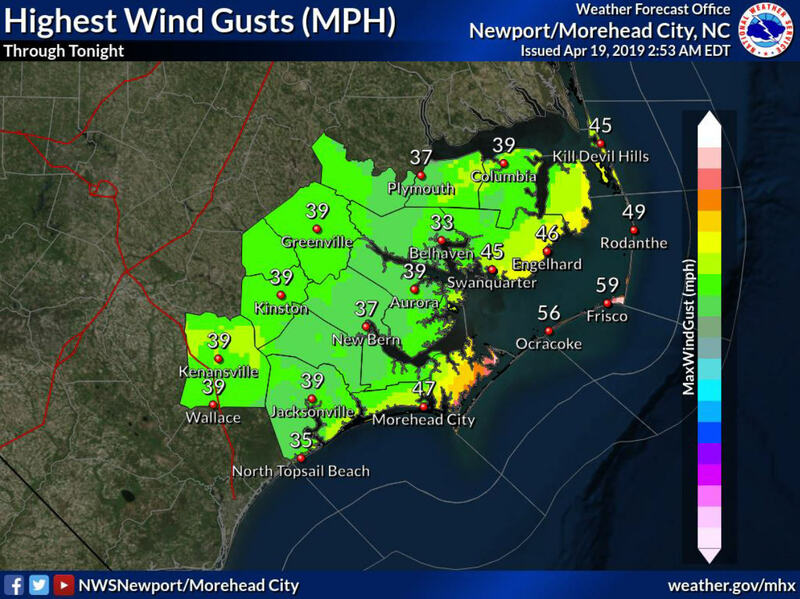 A strong coastal storm with rapid intensification brought hefty wind gusts, rain, and thunderstorms to Hatteras and Ocracoke islands on Tuesday, but the storm moved quickly through the region, leaving minimal after-effects by Wednesday morning. 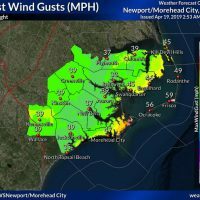 Peak wind gusts reached 65 mph in Avon, 64 mph in Rodanthe, 55 mph in Buxton, and 49 mph in Frisco on Tuesday evening before the winds dissipated overnight. 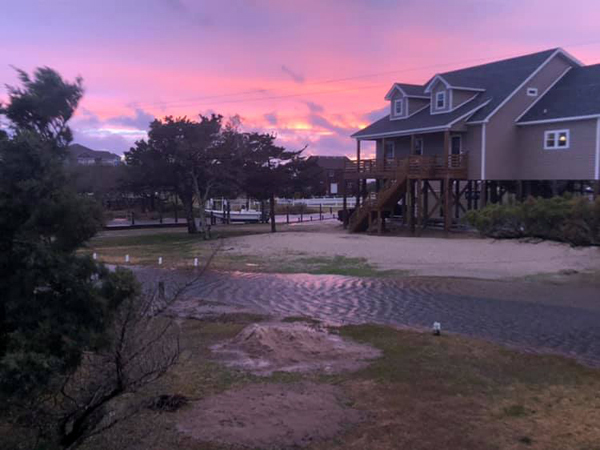 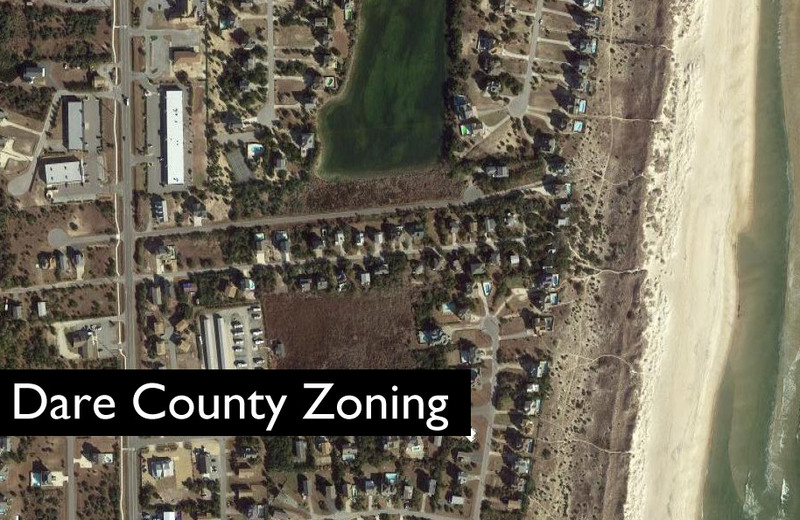 Minor soundside flooding was reported on the southern end of Hatteras Island, particularly in Hatteras village and Frisco, but much of the water had receded by Wednesday, and roads were passable. 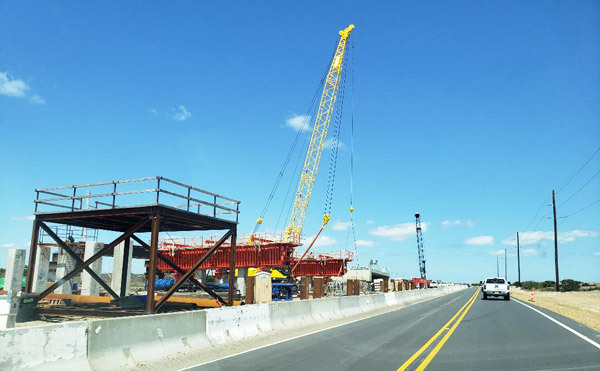 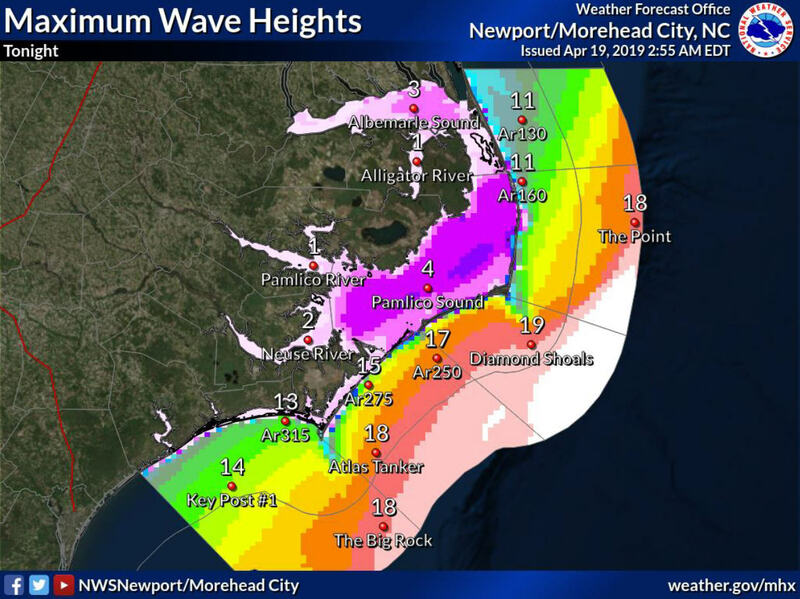 Drivers heading north reported that N.C. Highway 12 was passable throughout, however, there was sand on the road in several areas, particularly north of Rodanthe in the S-Curves region, as well as near the Pea Island National Wildlife Refuge’s Visitors Center. 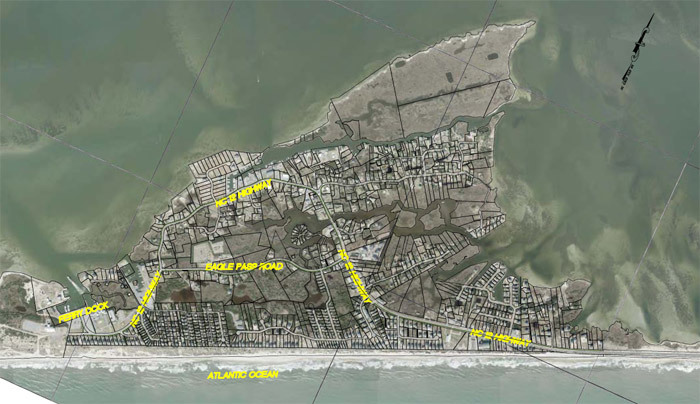 Travelers should use caution and watch for sand on the road throughout Hatteras Island. 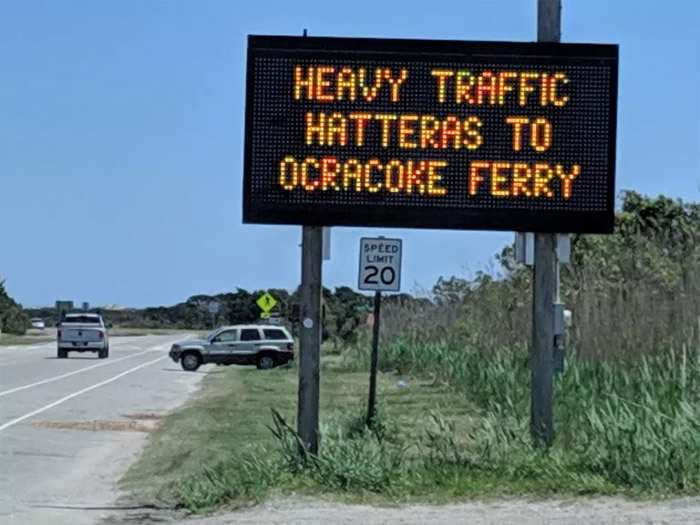 The Hatteras / Ocracoke ferry, which suspended service at approximately 4 p.m. on Tuesday due to the deteriorating weather conditions, resumed service Tuesday night starting with the 10:00 p.m. departure from Hatteras village and the 12:00 midnight departure from Ocracoke Island. 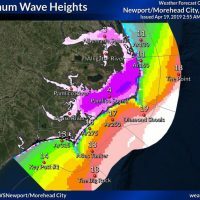 All ferries on Hatteras and Ocracoke islands are currently running as scheduled as of Wednesday morning. 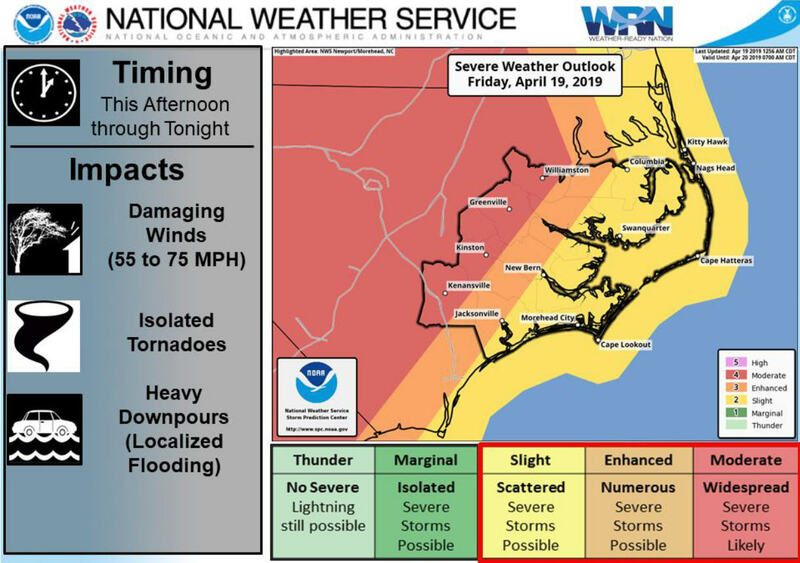 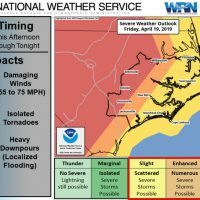 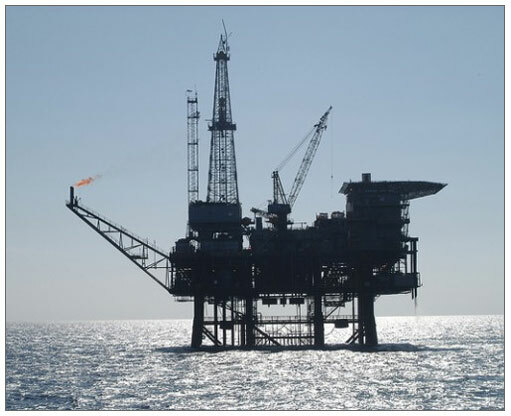 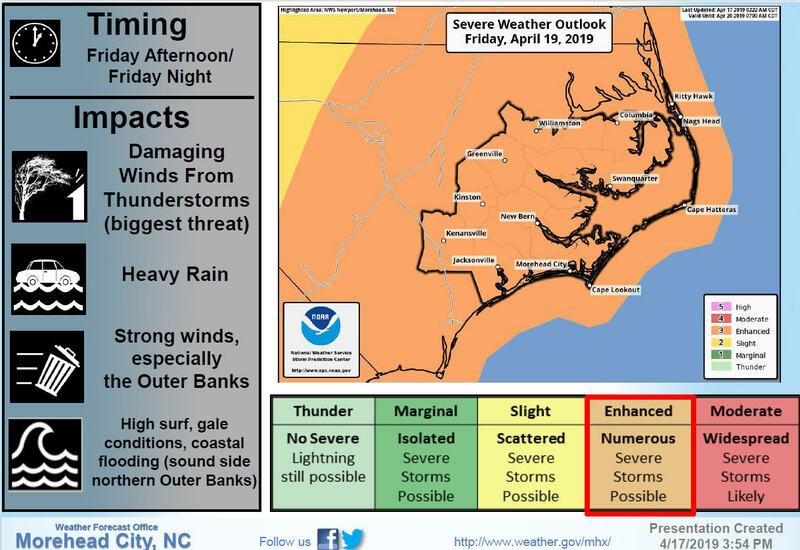 The National Weather Service Newport / Morehead City office reported that weather conditions will continue to improve throughout the day, as warmer temperatures return with sunshine and highs in the 60s by Wednesday afternoon.